Flitting between digital illustration and murals, Wesley van Eeden (also known as Resoborg) is a graphic designer and illustrator based in Durban. 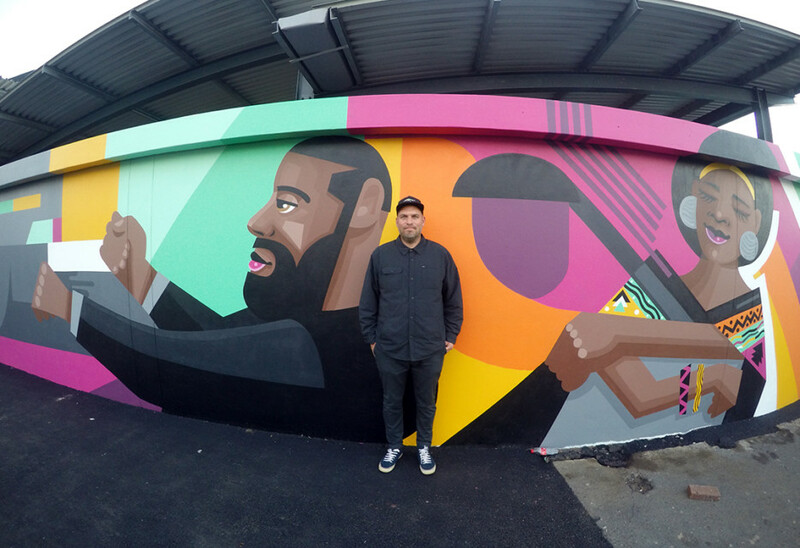 And has been painting walls with colourful graphic facades since 2005. 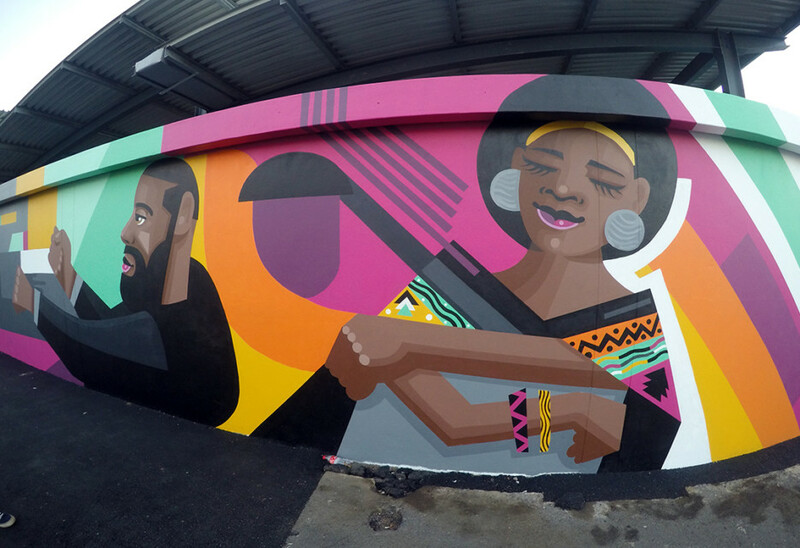 His most recent street art project, titled The Taxi Dance, is a sprawling 44-metre painted mural at Cartwright Taxi Rank in Durban. It depicts different figures enjoying music and adds a geometric facade to the newly rebuilt rank. 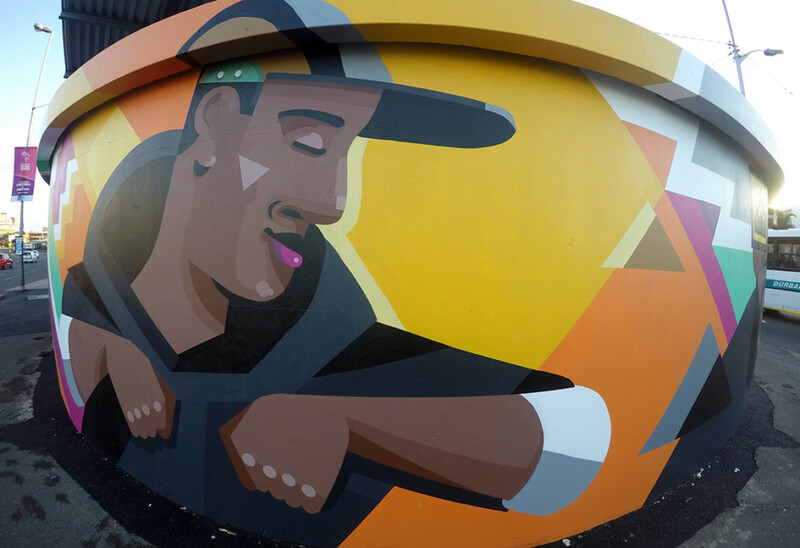 The artist pays homage to taxi travel in South Africa while making reference to the taxi driver dance. 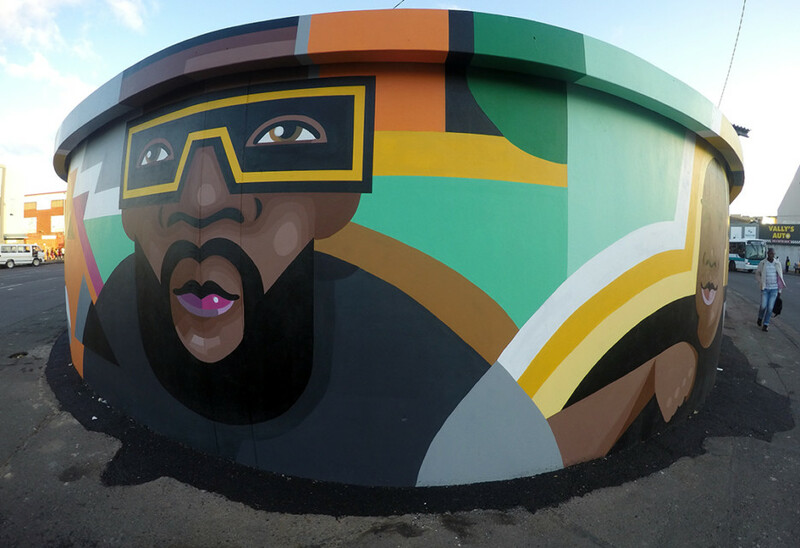 The vibrant piece is an inspiring addition to Soldiers Way, where pedestrians meet from all over Durban to embark on their travels. “I wanted to create something that had some synergy with the space,” he explains. “As a student I caught taxis for years and experienced how important the industry is to the public. Not everyone can afford a car.